A company which provides bespoke software development to start-ups has added extra capacity to its team thanks to the support of Innovate Tees Valley. 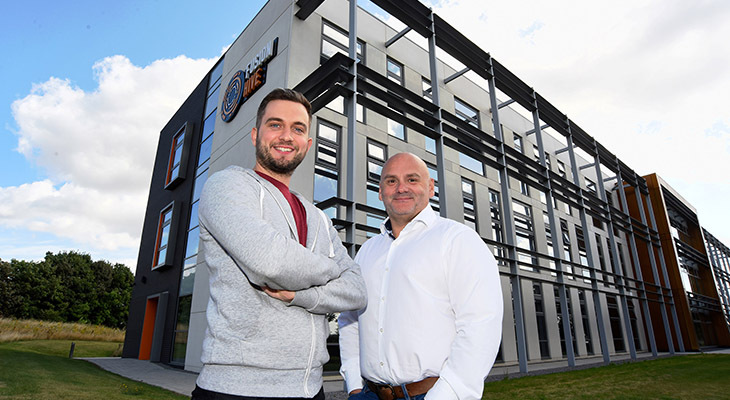 Techquity, based in Fusion Hive on Stockton’s North Shore, has employed senior developer Tim Spratt to design new applications which will help it provide a more efficient and effective service. Tim’s salary has been part-funded by Innovate Tees Valley, a Teesside University-led programme which helps SMEs do new things in their business and create and improve services, products and processes. Techquity provides businesses, particularly start-ups, with technical support including web development and designing mobile apps. Co-founder Richard Bendelow, who was a founder of Visualsoft, said Techquity aims to help new companies bring good business ideas to reality. He said: “A lot of these companies fail because they don’t have in-house technical expertise and that can be off-putting to investors. “We are more than just a contractor. We work with the company, like an in-house team to bridge that gap and give more confidence to investors. Techquity is developing its own web applications which can be adapted quickly to meet customers’ needs, thus reducing the cost. The University has understood our business model and worked with us throughout the whole process. It’s all gone very smoothly. Its graduate placement scheme helps SMEs recruit and part-fund the salary of a graduate for up to six months. The company was also helped by DigitalCity, through Innovate Tees Valley, to compile a market research report to help it position its product and service offer. As a resident of Fusion Hive, which is managed by the University, Techquity is also able to access to the University’s significant business networks, expertise and training provision, and help in sourcing potential funding. The company is currently working with Teesside University’s business team on a bid for innovation funding. Laura Woods, Director of Academic Enterprise at Teesside University, said: 'Techquity’s technical expertise is giving start-ups a vital platform for growth. Digital capability in our businesses is crucial for performance and competitiveness. A company that provides software development to start-ups has added extra capacity to its team thanks to the support of Innovate Tees Valley.